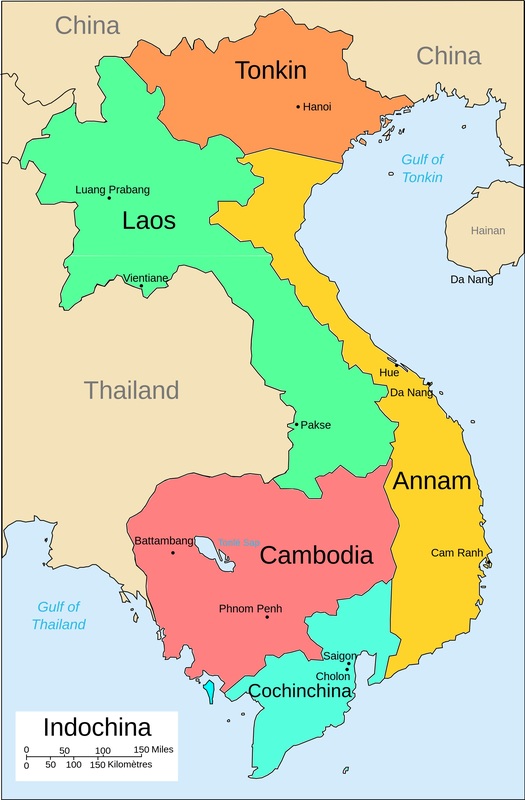 By prior Allied agreement at Potsdam, China Theatre had operational jurisdiction over Indochina north of the 16th parallel, and South East Asia Command south of that line. From 15 August this became the demarcation line for administering Japan’s surrender. 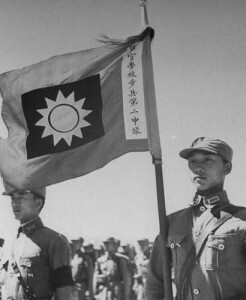 Two weeks later, Chinese units began crossing the frontier from Yunnan and Guangsi, accompanied by adherents of the Vietnam Nationalist Party and Vietnam Revolutionary League. Generalissimo Chiang Kai-shek aimed to reaffirm China’s status as a victorious Allied power, use Haiphong or smaller ports to transport troops to northern China and Taiwan, and rid himself of the governor of Yunnan, Long Yun, by mounting a coup while Long Yun’s better military units were away. As Chinese soldiers entered the heavily populated Red River delta, mostly on foot, Vietnamese villagers were stunned by their emaciated bodies, tattered clothing and seeming lack of organization. Those few villagers who possessed a rice surplus took umbrage when Chinese quartermasters demanded to purchase it with alien currencies of dubious value. Stories soon circulated about clouds of flies hovering over Chinese troop columns, and about soldiers who dragged themselves along on limbs swollen by beriberi. Chinese troop numbers in northern Indochina probably peaked at about one hundred thousand by the end of 1945, then declined as units were dispatched elsewhere. Along with the soldiers came at least twenty thousand Chinese porters, camp followers and petty merchants. General Lu Han, commander of Chinese forces, arrived in Hanoi by air on 14 September, going directly to the former governor-general’s palace, from where his advance team had ejected French commissioner Jean Sainteny. Summoning Ho Chi Minh to the palace, Lu declared that one ‘Chinese gold unit’ (guan jin) would be worth one and a half Indochina piasters, a gross overvaluing of the Chinese currency. Fearful of Chinese swooping into local markets to buy up rice with these bank notes, Ho promised Lu that the DRV government would supply his troops with grain. Lu may have planned to impose Chinese military government, but now he was prepared to test Ho’s assurances that the Vietnamese government could keep the peace. 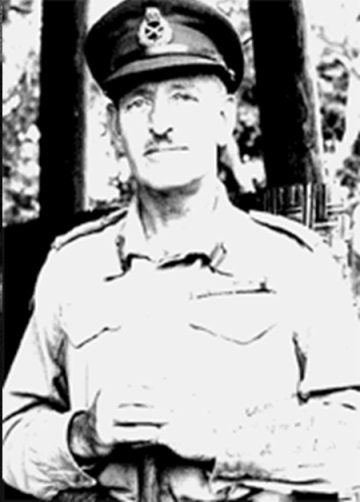 On 22 September, the day after General Gracey declared martial law in Saigon, Lu assured Ho that he had no intention of following the British precedent, so long as public order persisted in both Hanoi and the countryside. 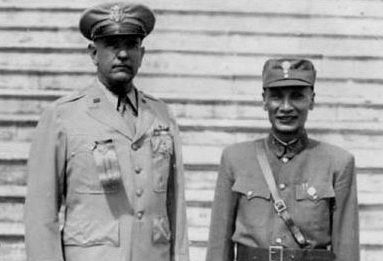 Paris pushed hard for French colonial units interned in China to be re-equipped and allowed to re-enter Indochina, but this was opposed by Lu Han and postponed by Chiang Kai-shek until early the following year. Meanwhile, forty-five hundred colonial prisoners of war remained under Japanese guard at the Hanoi citadel. Some Japanese units gave captured French weapons to Viet Minh groups rather than turn them over to the Chinese. In preparing the 28 September ceremony to take the Japanese surrender, Chinese organizers placed the French representative at number 106 on their guest list and ruled out any display of French flags, causing the French to boycott the proceedings. The Chinese Army took over granaries, barracks, warehouses, school buildings, government offices and some French civilian dwellings. Entire platoons moved into upper-class Vietnamese residences. The Yunnan railway, French vessels, motor vehicles, distilleries and some printing presses were commandeered. Stocks of cloth, coal and salt were appropriated. Hanoi and Haiphong were the most sensitive occupation venues. Only three days after Lu Han and Ho Chi Minh reached their understanding, Chinese soldiers provoked a fracas that left two Vietnamese dead and ten badly injured. A plethora of neighbourhood-level altercations occurred in the early days of Chinese occupation of Haiphong. 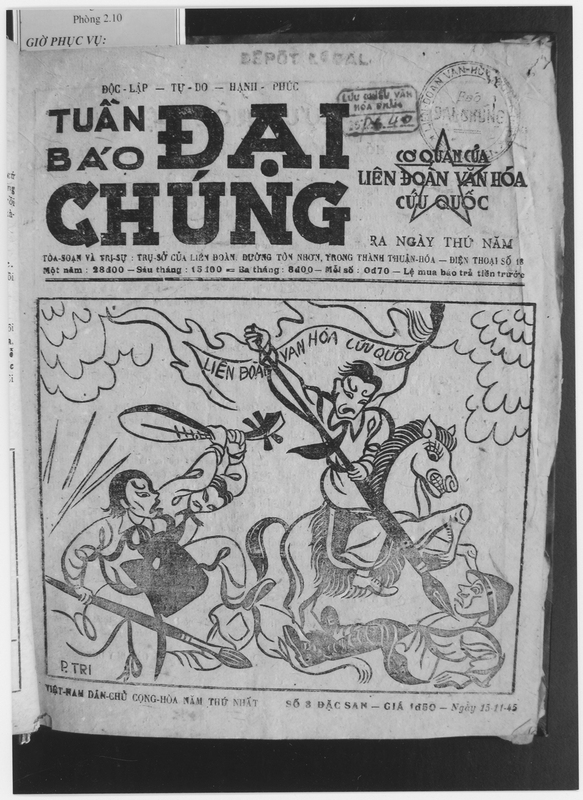 The city’s Viet Minh paper urged citizens to stop saying or doing things ‘not conducive to Sino–Vietnamese friendship’. Government censors made sure that no overtly anti-Chinese articles appeared. Thousands of Chinese carpetbaggers took advantage of the military occupation to reap quick rewards at the expense of the long-suffering inhabitants. Some resident Chinese also linked up with the occupation authorities for mutual gain. Vietnamese objected when overseas Chinese draped Chinese national flags, rather than DRV flags, outside residences. However, Chinese-language newspapers in Haiphong and Hanoi vehemently condemned French atrocities in Cochinchina, even to the point of proposing reprisals against French nationals in the north. Ho Chi Minh made sure that the 10 October anniversary of the 1911 Revolution in China was observed prominently. Chinese army occupation of northern Indochina was traumatic for many people, and it was a relief to see the last unit depart in September 1946. Yet the Chinese troop presence had prevented the French Army from taking aggressive action against the DRV north of the 16th parallel. The DRV government, nascent National Guard and Viet Minh mass organizations took advantage of this breathing space, which helps to explain why the French Army on return did not succeed in quelling resistance.